Cryptocurrencies and especially Bitcoin have made the headlines once more as crypto assets have been sold off at an alarming rate over the last two weeks. The so called Crypto Crash which is compared with some of the most popular bubbles of our time might see further downside soon. A couple of factors have plagued the cryptocurrency space over 2018, from regulators declining application to list crypto ETF instruments on exchanges, dodgy crypto platforms inflating trading volumes when it was clear that volumes have declined drastically and recently debt plagued crypto companies filing for bankruptcy all played its part. One fundamental factor that could be the final nail in the coffin, driving the price significantly lower from current levels could be concerns around the cost of electricity to mine the coins going forward. Looking back at our cryptocurrency forecast and especially with Bitcoin it is fascinating to see what the price action really did over the last 6 months. 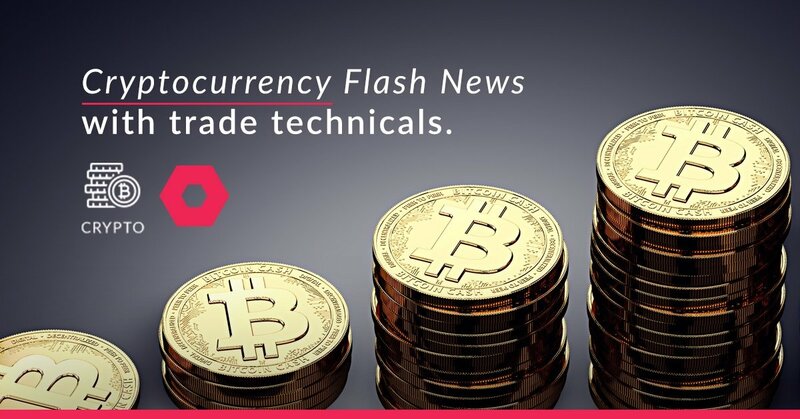 In our last Cryptocurrency News Flashof October, we saw the price action really subdued and consolidating in a sideways channel. 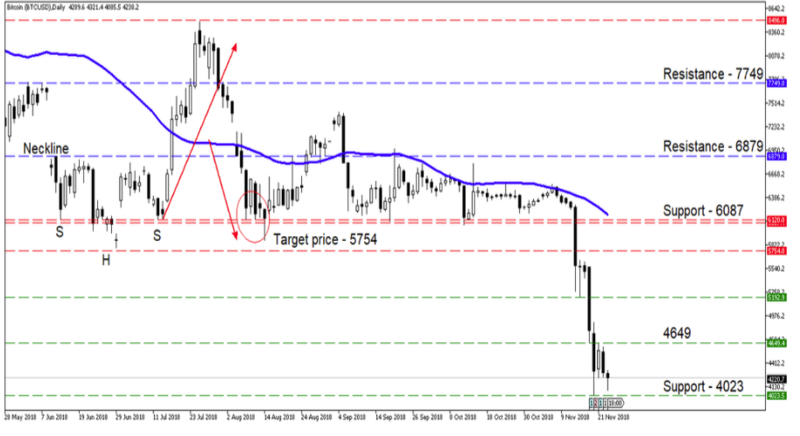 The $6087/ coin level which was highlighted as a very significant support line was eventually broken and our first target price of $5754/ coin was met. In my wildest dreams I couldn’t have predicted the selloff we have seen of late. Bitcoin has lost over 30% of its value since the selloff and things are not looking good. The price action is currently finding support at the $4023/ coin level and we might see a relief rally back higher to the $4649/ coin level in the short term. More downside is on the horizon which might see the cryptocurrency move as low as $2500 / coin over the medium term if the $4023/ coin level is broken due to fundamental factors playing out within the cryptocurrency space.